Exporting a mind map to excel requires just a simple button click with Edraw. The exported mind map in excel can still be edited. 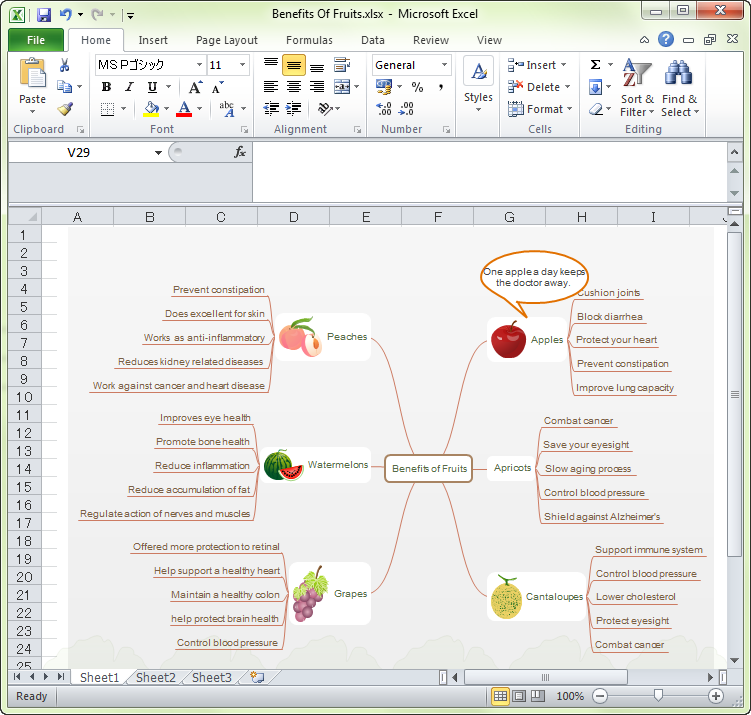 This feature allows users to share mind maps in excel so others could view and modify. Below are some guidelines to export a mind map to excel and also an introduction of a wonderful diagram application. There are four steps to convert a mind map to excel with Edraw Max. Step 1. Run Edraw Max. Step 2. Click Open to open a mind map template. Step 3. 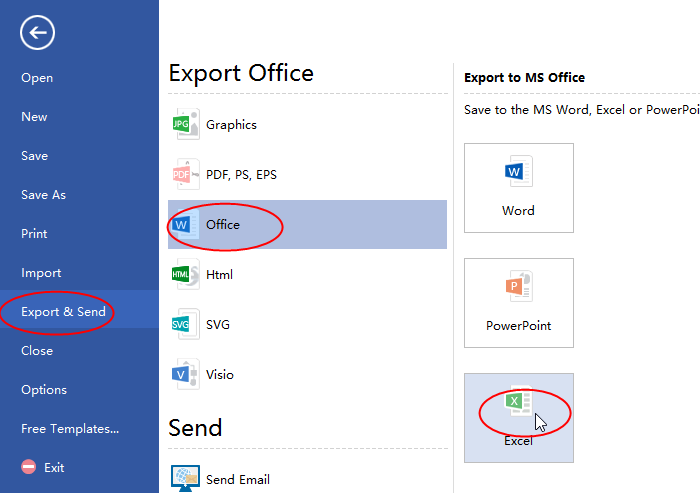 Go to File >Export & Send, select office >Excel. Step 4. 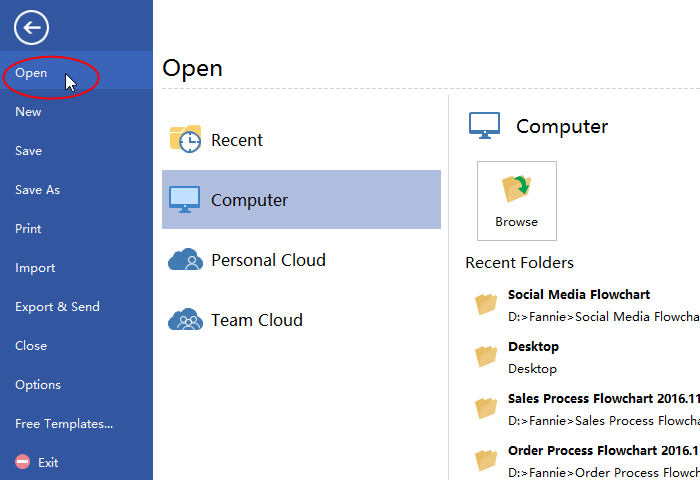 Browse your computer and choose a location to save your excel file. Then you export mind map to excel successfully with just several clicks. Below is a converted excel example. Edraw Max is a user-friendly diagram application which can save your lots of time and energy. It is fully Compatible with Microsoft Office. It supports many file formats conversion and you can simply share your visuals into Word, Excel, PowerPoint, HTML or PDF with just a click. Pre-drawn Symbols for Drag-and-Drop and Smart Connector for link. It has thousands of built-in symbols to choose without drawing by yourselves and smart connector enables you to draw different diagrams on the same software at the same time and easily see preview. Reasonable Price with Lifetime Update. It is much cheaper than other diagram applications and guarantees lifetime upgrade. Once there is a new version or template available for download, there will be an automatic notice. And you can update the application within the program.